Northwestern University Press, 9780810112049, 233pp. These unfinished novels were intended to follow her widely acclaimed "Malina "in a Proustian cycle to be entitled "Todesarten, " or "Ways of Dying." 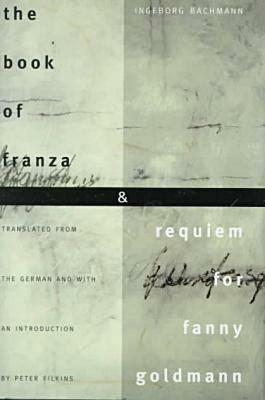 Through the tales of two women in postwar Austria, Bachmann explores the ways of dying inflicted on women by men, and upon the living by history, politics, religion, family, and the self. Ingeborg Bachmann was born in Austria in 1926. A winner of numerous awards, including the Georg Buchner Prize, the Berlin Critics Prize, the Bremen Literature Prize, and the Grand Austrian State Prize for Literature, she died in Rome in an apartment fire in 1973.Peter Filkins is an associate professor of English at Simon's Rock College of Bard. He is the author of "What She Knew" and the translator of "Songs in Flight: The Collected Poems of Ingeborg Bachmann," winner of an ALTA Award for Outstanding Translation.